Though he chose not to be ordained a priest, St. Francis is one of the most revered saints of the church. The great respect accorded to St. Francis is primarily due to his life of service, insistence on the practice of absolute poverty, and great humility. 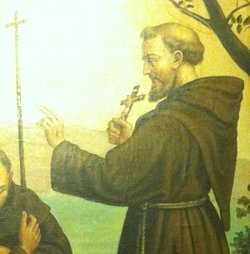 He founded the Order of the Friars Minor, co-founded the Poor Clares, and the Order of St. Francis. St. Francis was born Giovanni di Pietro di Bernardone, to a rich silk merchant on 1181 AD. His nickname “Francesco” means “the Frenchman”, given by his father probably because of his love for anything French. His mother was a French woman of noble birth. He became a soldier early in life and fought for Assisi. In 1204, while recovering from an illness, he had a vision of which caused him to return to Assisi. There his spiritual awakening followed. He spent a lot of time asking God for direction and caring for poor people, including lepers. Another vision followed of Christ asking him to repair His church. St. Francis perceived this as directing him to repair a local church, so he sold cloth from his father’s store to help fund the repairs. His father became angry, so St. Francis renounced all worldly possession and spent his time as a beggar, restoring many other churches in the area. In 1209, after hearing a sermon about preaching the Good News, he started doing just that and living in poverty. He was soon joined by other friends, mostly from the educated class, who joined his life as a beggar. One of the most famous saints he inspired was St. Clare of Assisi, with whom he co-founded the women’s order of the Poor Clares. He is renowned for his love of animals, the environment, and his desire for peace. He even went to see a the muslim leader of Egypt to seek peace. He was graced with the stigmata shortly before his death on Oct. 3, 1226. He died singing psalms of praise. He was canonized on July 16, 1228, by Pope Gregory IX. His feast day is celebrated on Oct. 4. Holy Saint Francis, through your kind intercession we seek holiness above all things. 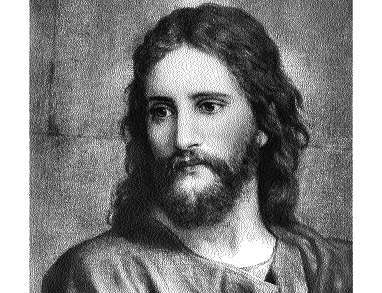 We seek the faith, hope and love that allowed you to joyfully renounce the pleasures of earthly life and to radically follow our Lord Jesus Christ. St. Francis, help us in praying for the grace to truly repent for our sins and actively seek reconciliation with God. May the blessings we obtain through your intercession deepen our faith, and inspire us to store treasures in Heaven, where we hope to spend eternity with the Almighty Father.